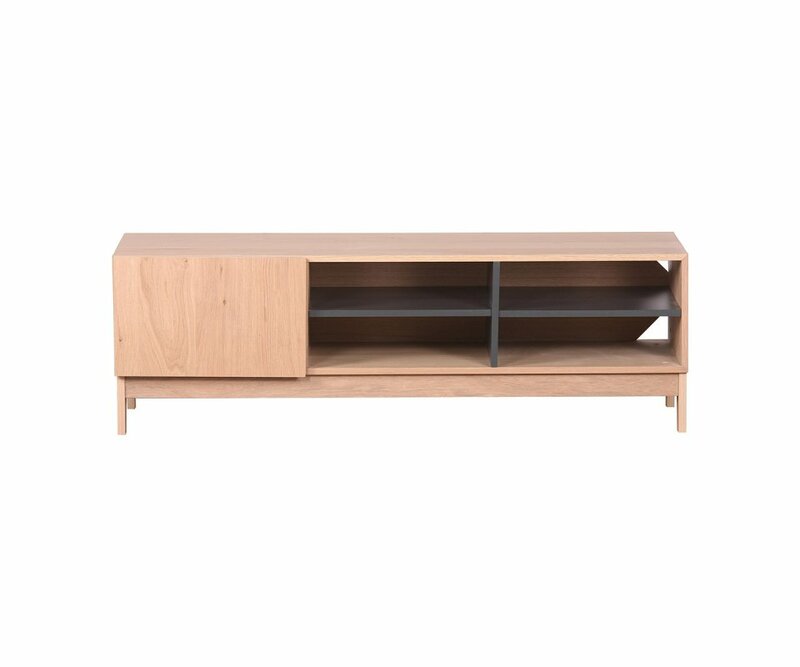 RETRO 1950’s DESIGN: Your TV table has slim legs and rectangular base reminiscent of the mid-20th century period, with a modern urban two-tone color palette. LOTS OF STORAGE: Open shelves and closed cabinets hold your media equipment, games, DVD’s and more in an organized fashion, while the base is wide enough for a large flat screen TV. TWO-TONE BEAUTY: Ash woodgrain and steel gray color combination blends well with most home décor styles and color schemes. RoomSmart’s Marcia TV table is a great choice for today’s modern homes. The 51” width can support a large flat screen TV, with open shelves and a closed cabinet underneath to organize all your electronic media equipment, games, DVD’s and more. 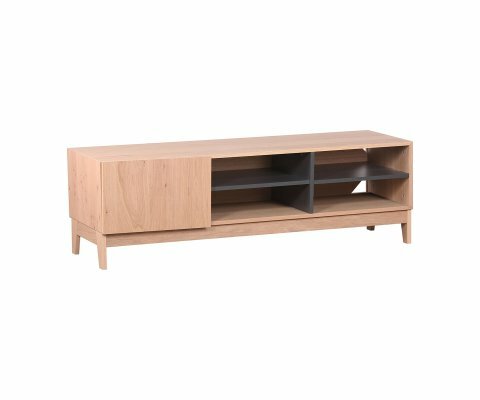 The table is made from top-grade particleboard with heavy duty hardware, so it won’t sag or split under your TV’s weight. It is covered in a premium veneer finish in a two-tone combination of ash woodgrain and steel gray, giving it an urban chic appearance. The style is retro 50’s, with slim legs supporting a rectangular table, and blends well with most home décor styles and color schemes preferred in today’s homes. 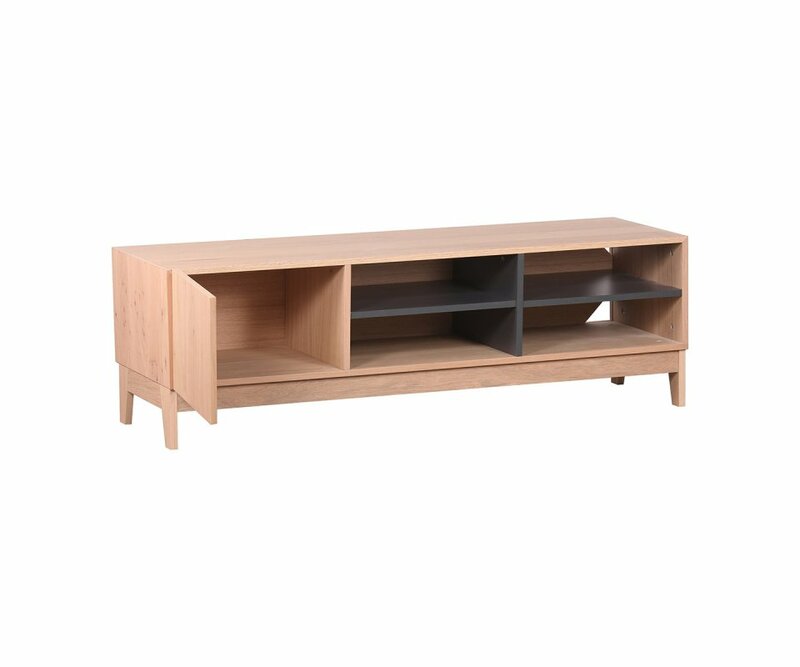 You will love having a place for everything and everything in its place with the Marcia TV table!